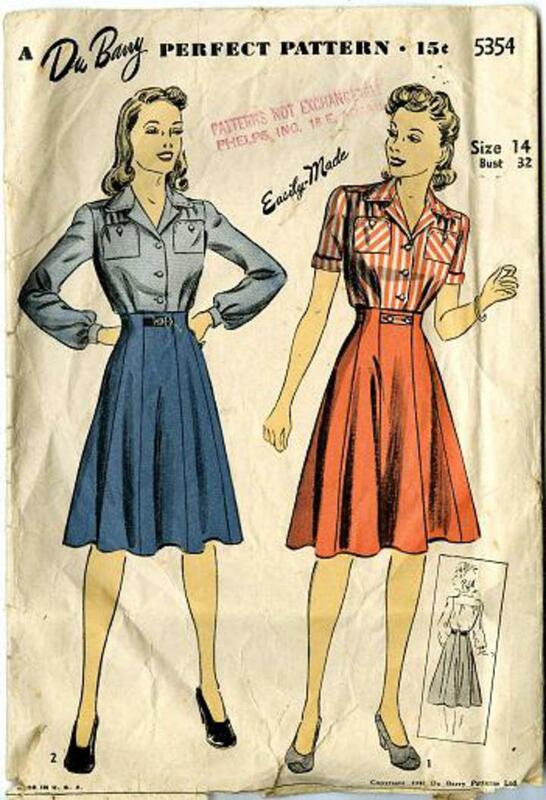 1942 Du Barry #5354 vintage sewing pattern, misses' blouse and skirt, size 14. Front edges are turned under for facings and rolled with the collar to form revers. Collar and patch pockets may be trimmed with stitching. Bishop or short sleeves are used. Lower edge of short sleeves are turned back to form cuffs. Skirt is buttoned at left side and extends above natural waistline. Unprinted tissue pattern appears complete. NO INSTRUCTIONS, sold AS-IS.